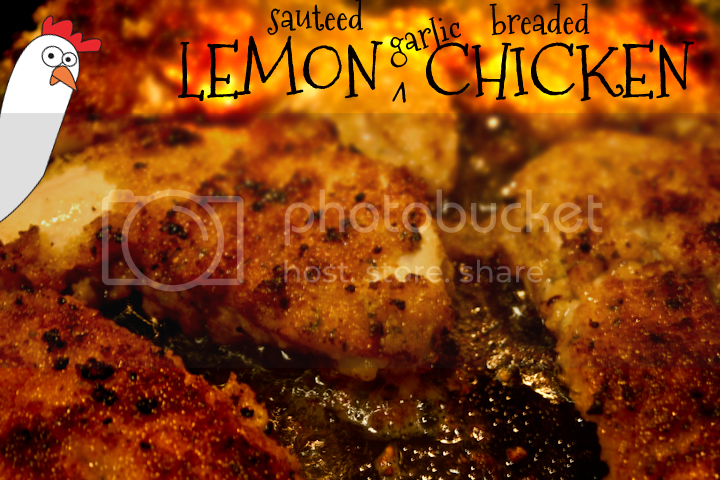 Don't forget to stop and eat the roses: Sauteed & Breaded LEMON garlic CHICKEN - A Recipe! 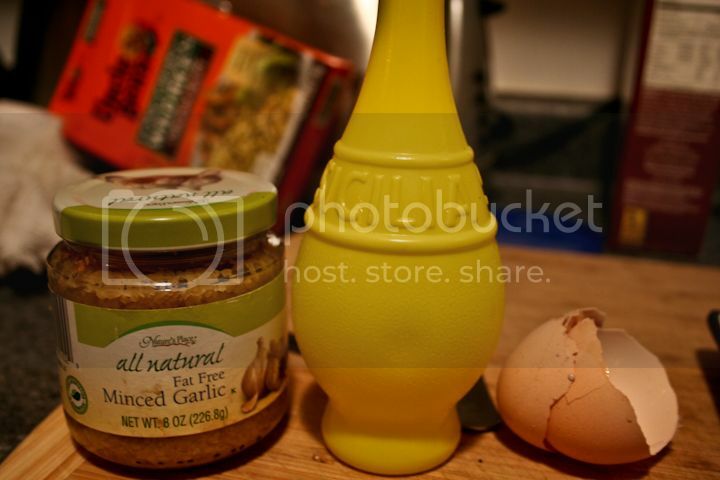 Sauteed & Breaded LEMON garlic CHICKEN - A Recipe! If there is ever a meal i will cook till i die, it is this. A simple, quick, inexpensive & DELICIOUS go to meal. I have never had a guest over who didn't absolutely LOVE this chicken. Serve it with your favorite sides. Eat the leftovers. Eat it all in one sitting. Whatever. I promise you though, once you make it, you will make it every week, forever. This recipe is for 4 people. 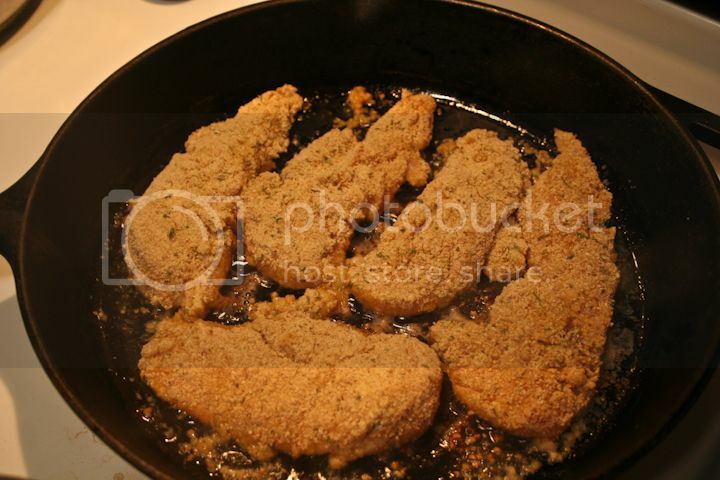 3.Coat chicken strips (one by one) in egg and then breadcrumbs with a generous coating. 4. 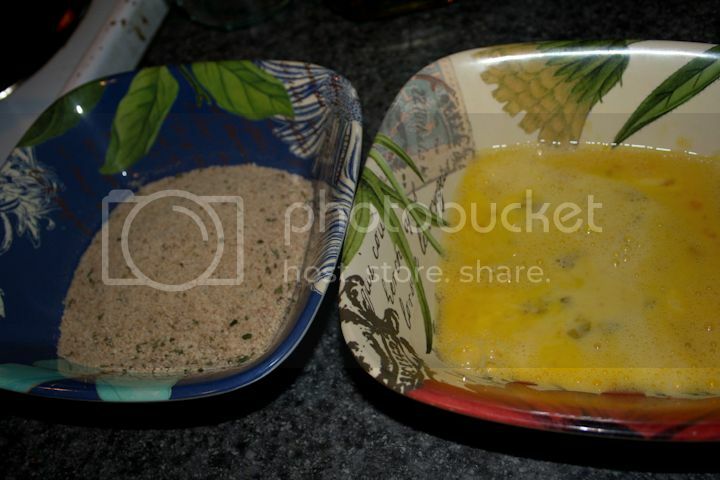 Place in pre-heated oil and let saute for a few minutes. 5. Using fork or tongs, turn over to fry other side. 6. Squirt lemon juice generously all over the cooked chicken side and into pan to create more juice. NOTE: I prefer pure lemon juice over actual lemons because the seeds can get into the pan and are not pleasant to bite into if a few get away. 7. Keep an eye on the chicken at all times and add oil or lemon to keep pan well coated and chicken juicy. 8. turn chicken again and squirt with more lemon. 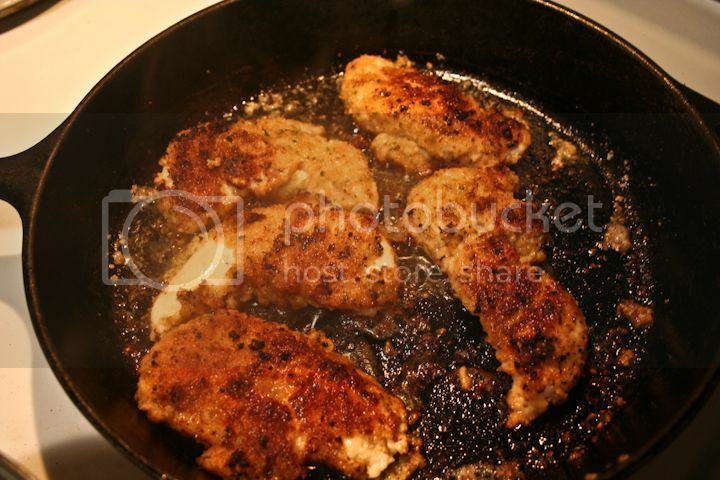 9.The chicken strips should be browned to perfection. You may turn them a few times to get maximum browning and maximum lemon squirting! 10. Add salt if desired. 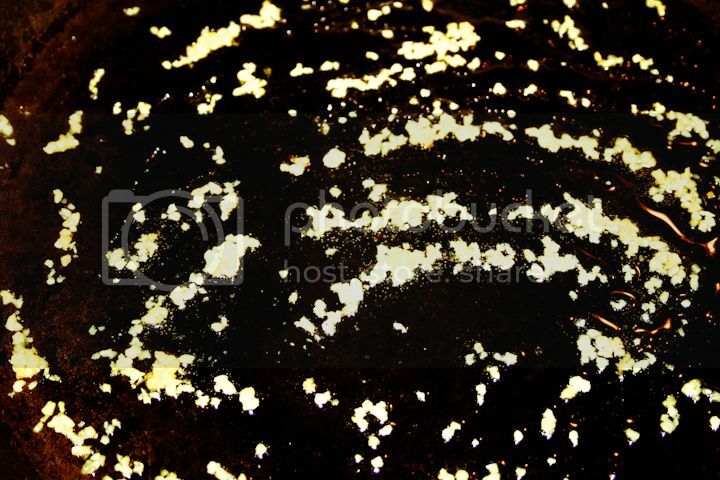 I am not much of a salt person, but i can tell you, this is full of flavor from the garlic, breadcrumbs and lemon. Salt is not needed! 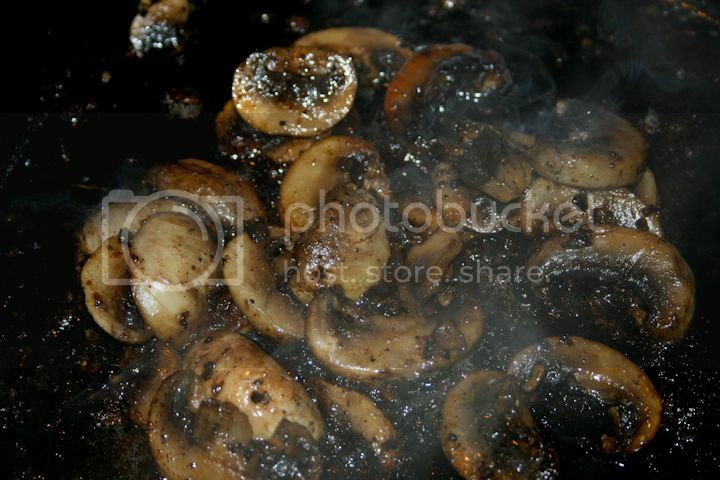 OPTIONAL SAUTEED MUSHROOMS - I love sauteed mushrooms. Once chicken is done, set aside and keep the bread/drippings in pan, add a teaspoon of oil and the sliced mushrooms and cook for few minutes till soft and browned. This combination of breaded chicken drippings and mushrooms adds a wonderful flavor to a topping you put directly on the chicken tenders upon serving. I also LOVE dipping my chicken in applesauce. If you don't like mushrooms or applesauce, continue to serving with your favorite side items. 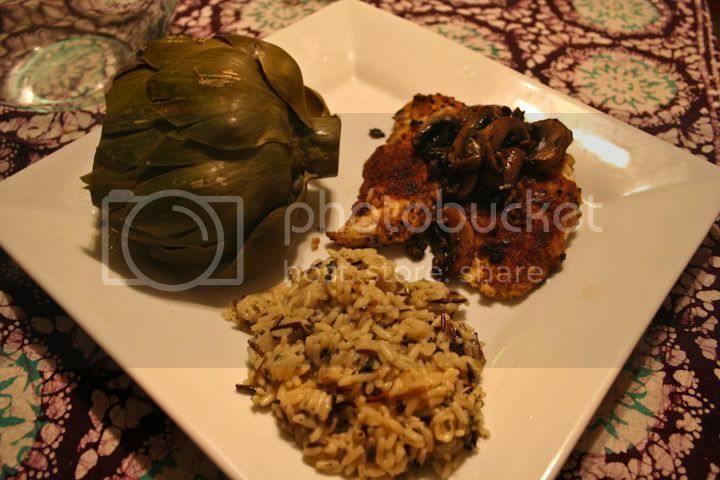 My favorite sides are long grain and wild rice and steamed ARTICHOKES. Never had an artichoke? 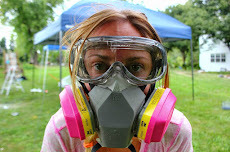 Click on my ARTICHOKE link to see how to cook and eat an artichoke. They are truly, the most wonderful food on the planet. I just made this for dinner and it was amazing! Thanks for the great recipe idea.